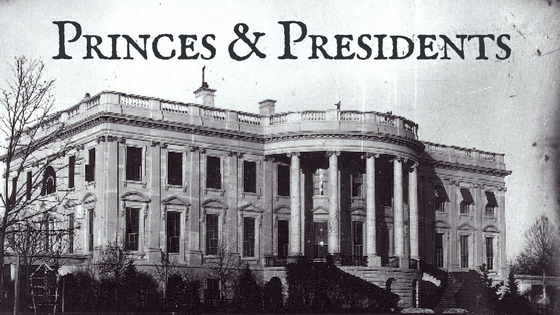 Every four years on January 20th, a president of the United States is sworn into office. This civic celebration represents a national moment of hope and renewal; America entrusts the future of the nation to a new leader who will need to call upon all his wisdom and experience to fulfill the promise of the moment. Unhappily, when it comes to princes and presidents, wisdom and good judgment have often been in short supply and the people and their nations suffer as a result. One Old Testament story illustrates the inevitable consequences when a leader lacks wisdom in fulfilling his trust. When King Solomon died, his son, Rehoboam, ascended to the throne. Shortly after assuming power, representatives of the people of Israel petitioned the new king to lift the crushing burden of taxes that had been imposed in earlier years. The people could no longer bear the excessively heavy load and sought relief from the new king. Rehoboam sent the people away while he conferred with his advisors. First, he consulted with the elders who said, “If today you will be a servant to these people and serve them and give them a favorable answer, they will always be your servants” (1 Kings 12:7). Then Rehoboam turned to his youthful companions who told him to assert his power over the people. Here is what Rehoboam decided and this is what he told the people: “My father laid on you a heavy yoke; I will make it even heavier. My father scourged you with whips; I will scourge you with scorpions” (1 Kings 12:11). The king rejected wise counsel and followed the misguided advice of the foolish and inexperienced advisors and so peace in the land was fractured. The people rose up and civil war broke out. Here is the conclusion: The wise ruler should always remember that he or she is the servant of the people, and not the master. History is littered with failed rulers who ended up laying waste to their countries and their people. The discerning prince or president will understand their role and will refrain from acting on the false belief that the people are nothing more than insignificant pawns who exist merely to serve the ruler’s whims and purposes. We should remember Rehoboam’s unwise choice now and on every Inauguration Day. This entry was posted in From The Blog and tagged advice, advice for the president, Bible, biblical advice, biblical wisdom, Eric Kampmann, Faith, Getting to Know Jesus, good advice, inauguration, inauguration day, Jesus, kampmann, Old Testament, president, Rehoboam, royalty, rulers on January 21, 2017 by Alison. When I read the Bible, I look for patterns of imagery and language that help point to the heart of what is being revealed. 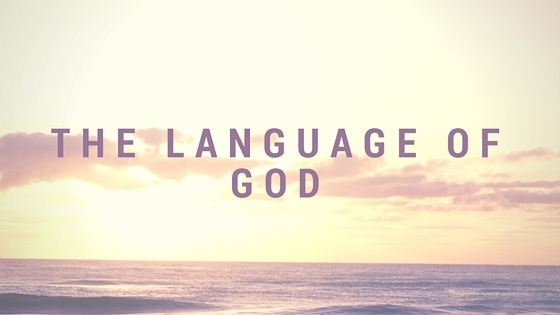 Paul tells us that the language of God is the language of the Holy Spirit and it must be read with that in mind in order to understand what the Bible is saying about God and about us. The language of Scripture has beauty and truth embedded within its very core, and it is through the power of this language that we absorb the truth of the reality of God’s presence in the world and in our lives. The Bible opens with God saying, “Let there be light” (Genesis 1:3). Before there was light, the universe was void and without life and form. And here is how John describes the second creation story, the birth of God’s one and only Son: “In him was life, and that life was the light of men. The light shines in the darkness, but the darkness has not understood it” (John 1:4–5). And here is Jesus during His three-year ministry: “I am the light of the world. Whoever follows me will never walk in darkness, but will have the light of life” (John 8:12). John echoes this in his first letter: “God is light; in him there is no darkness at all” (1 John 1:5). It is the light of God that flows out of the darkness and into and through the window of our mind and heart. When we open our minds to what this light really is, we see with a new heart and transformed mind a world flooded with the beauty, truth and mystery of God’s everlasting presence. This entry was posted in From The Blog and tagged beauty of language, Bible, Creation, Faith, God, grace, Holy Spirit, Jesus, Language, light, New Testament, Old Testament, The Language of God on June 3, 2016 by kelly.